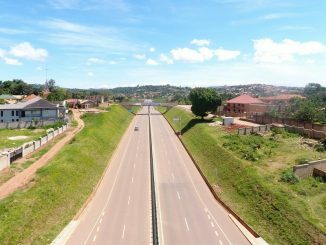 For many years, the media reported and speculated on the real power in Uganda. Several journalists were threatened, sued or sacked for writing or speaking about who really held the levers of power in the country. At the centre of this speculation over who really held effective power in Uganda was the question of who would succeed President Yoweri Museveni if he should choose to retire, resign or even die in office. The President himself was never clear about this. Asked at press conferences, he would casually say the people would decide or historical forces would naturally by themselves bring forward the leader of the moment. 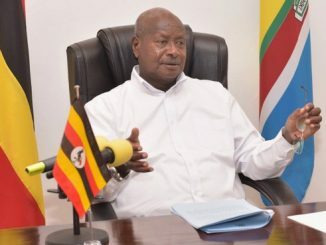 In the few newspapers that dared speculate about this, there was much talk in the mid to late 1990s that Museveni’s childhood friend and fellow member of the anti-Amin guerrilla struggle, Eriya Kategaya, despite being the perennial First Deputy Prime Minister, was the effective number two in Uganda. Those more familiar with the NRA/NRM history of guerrilla warfare and militarized culture had a different view. The real structure of the NRM government was best seen by studying the military, not the political, structure of the government. In this structure, President Museveni was the head and, despite the formality of various army commanders and army chiefs of staff, he was also the effective supreme army commander. Second in command of the army, in effective terms, was Maj. Gen. Salim Saleh. Saleh, whose real names are Caleb Akandwanaho, was the president’s younger brother. The reason it was thought to be Saleh and not the army commanders of the day was because of another reality that the media and the political class had figured out: despite all the posturing as a revolutionary, forward-looking, scientific organization, the NRA/NRM was, in fact, very much a group dominated by blood relations and the old feudal order. He or she who was closest to the President by blood was closest to real political power. That was the reason Salim Saleh, a veteran of the NRA war and brother to the president was billed as next in line to the presidency. Those who interpreted the NRM’s history through this latter set of lenses, it would turn out, were much closer to the truth than those who believed the NRM was a public, corporate political organization run along democratic methods. In 1999, the president’s son Muhoozi Kainerugaba married Charlotte Kuteesa, daughter of the cabinet minister Sam Kuteesa, in a very public wedding ceremony and a month later enrolled at the Royal Cadet School at Sandhurst in England for the start of a military career. A few who looked further than the general public started to think about this development. It might simply be a coincidence that Kainerugaba had chosen a career as an army officer and there was nothing more to read into that. But the coincidence seemed just too much, and so a new round of speculation began: Could this be the start of a long process of preparing Museveni’s son to succeed him as president? The rumours and speculation continued. There was now a three-horse race to succeed Museveni: Eriya Kategaya, Salim Saleh and possibly Muhoozi Kainerugaba. Upon completing his studies at Sandhurst, Kainerugaba returned home and was deployed in the Presidential Guard Brigade (or PGB). This got even more attention than before. There were rumours within media and political circles, of army generals saluting or showing special respect for Lt. Kainerugaba, as he had now become, even though he was not the commander of the PGB. Meanwhile, a sudden challenger had appeared on the scene. This was Colonel Kizza Besigye, a just retired army officer and former personal doctor to Museveni. In 2000, Besigye announced he would seek the Ugandan presidency in the 2001 general election. The large crowds that followed Besigye and turned up at his campaign rallies caused panic within the NRM and the established political order. A “super minister” in the NRM, Amama Mbabazi, pointedly said that Besigye had jumped a “queue”. That was the first time Ugandans heard there was any kind of queue at all. A few voices not only noted this new development about a queue, a systematic schedule of people who would take turns at replacing Museveni; they also turned their eyes toward Amama Mbabazi. How come Mbabazi had spoken out about Besigye jumping a queue and how did he know there was one? What did Mbabazi know that the rest of the Ugandan public did not? As it now turns out, Mbabazi knew what was going on. 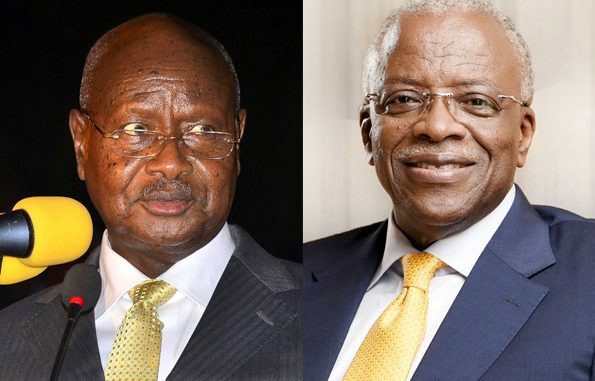 According to the journalist Andrew Mwenda, Museveni and Mbabazi held a meeting in 2003 at which Museveni promised and confirmed to Mbabazi that he, Mbabazi, would be next in line for the presidency. But there is still something interesting here: Soon after Besigye declared his presidential plans and started to campaign, Mbabazi was speaking of a “queue”. This would suggest that Museveni had promised Mbabazi that he would be his successor even before 2003, which is what prompted Mbabazi to alert Besigye to the pecking order. What all this means is that President Museveni has a lot of explaining to do to Mbabazi and to Mbabazi’s supporters. 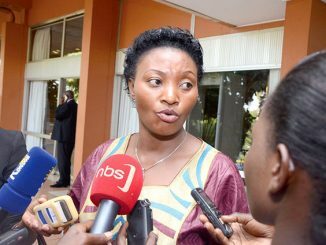 To the general public and many NRM Members of Parliament and party officials, Mbabazi has in recent years become a divisive figure, attempting to usurp Museveni’s power and authority. But to Mbabazi, and to Museveni knows the truth of what was discussed, Mbabazi’s starting to create a national political network of supporters and fundraising for 2016 was only the diligent work that one does in preparation for one’s final promotion. Between these two men is the truth about that queue that Besigye allegedly jumped. If there is or was indeed a queue and Amama Mbabazi was at the front of the queue, then Museveni’s 2016 presidential bid is a breach of agreement and breach of good faith with Mbabazi. Breaking agreements that he signed and pledged to honour has been a hallmark of Museveni’s political career. Whether or not Mbabazi will allow to be short-changed over his position in the queue, will be the news to watch for the rest of 2014 and into 2015.